SecureFix Direct should be your first and only destination when you require stainless steel hooks. Whether you're looking for asymmetric hooks, carbine hooks, karabine hooks or anything else, we have the high quality items that you've been looking for. These hooks have been manufactured to the highest standards and they are among the safest on the market, so take a look at what we have to offer and make your purchase with SecureFix Direct today. 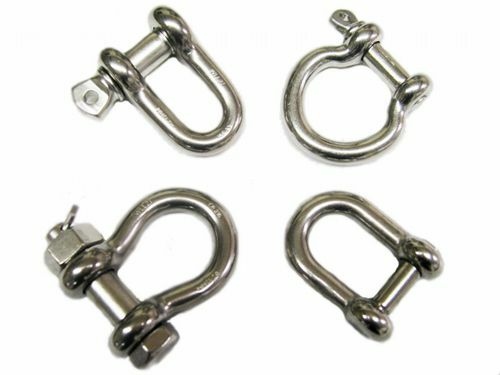 Our hooks are very popular in the marine industry, due to the fact that they are made from 316 grade stainless steel, giving them the best protection against rust. With our wide range of sizes we are sure to have exactly what you need, so take a look at what we have to offer today. We're sure you'll be impressed by our competitive prices, which means you never have to look far to find a bargain at SecureFix Direct. 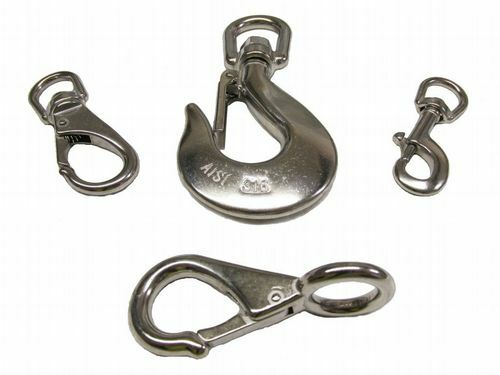 We also offer stainless steel shackles in all kinds of different styles. These have an endless line of uses and they can be used virtually anywhere. 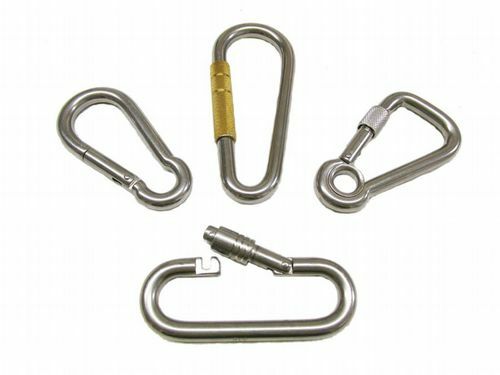 With such a wide array of items we realise it can be quite difficult to choose the correct stainless steel hooks and shackles for you, which is why our comprehensive support service can help assist you in your purchase. We can tell you all there is to know about all of the items found in our store, helping you to make an informed purchase decision. Why choose SecureFix Direct for stainless steel hooks? For years we've been providing customers with all kinds of equipment and tools for the marine industry, and we know exactly what they want. That's high quality, low prices and exceptional customer service, which is exactly what you get at SecureFix Direct. Simply browse our selection and make your purchase, and we'll get it delivered to your door in no time at all. If you would like to know more about SecureFix Direct or any of the other items in our store, please don't hesitate to get in touch with a friendly member of our team. We can point you in the right direction so that you end up with the perfect hooks and shackles for your needs.